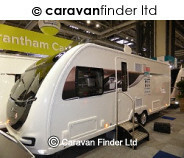 This Broad Lane Leisure Special Edition Fairway "Platinum" tourer is based on the 2019 Swift Challenger range. For nearly 25-years, the Swift Group, Britain's leading caravan manufacturer, in partnership with Broad Lane, have been producing this stunning, desirable and exclusive range. 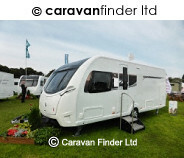 The 2019 Platinum Edition is their most advanced, high-spec and luxurious caravan to date. Built using the Swift SMART intelligent construction system, the stunning 7-model Platinum range benefits from a host of new design features, including a streamlined aerodynamic profile, new panoramic sunroof, recessed lights and speakers, and more storage space throughout. The new Fairway Platinum is packed full of special edition features, including Alde heating, Lux Pack and much much more! 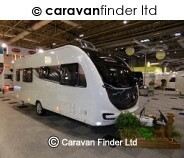 Broad Lane believes their 2019 Swift Fairway Platinum will prove to be the best-selling Special Edition caravan available in the UK market today.